I actually managed to get my rose star basted yesterday! This is the first time I've ever thread basted and I'm pleased with how it went. It should make hand quilting much easier. 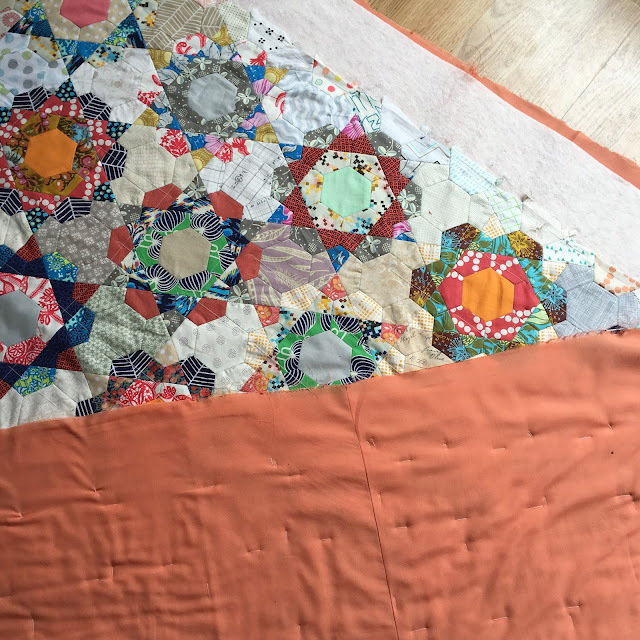 I did my usual stick the backing to the floor and layer method, Clare (my quilt is her rose star tutorial) recommended the rolling method and after watching this Youtube video I will be trying that next time. It would be nice to not have to take up so much room! I have the perfect thread, which matches the backing. My plan is to quilt the centre hexies and I'm still thinking about what else to do. Any suggestions are welcome?! I'm having a little giveaway for my followers over on Instagram! To share some cute things and celebrate having 2427 followers over there :) Apologies if you don't have an instagram account, there will be another giveaway on my blog soon. 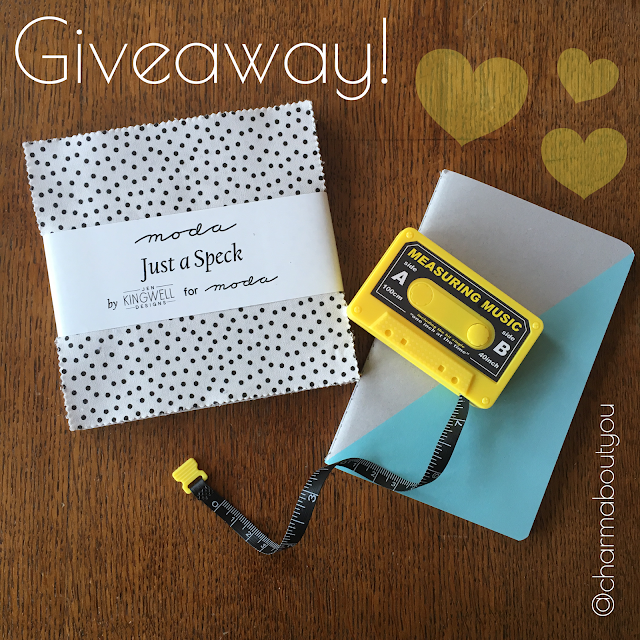 I'm giving away a charm pack of Just a Speck, a cassette tape measure and a lined notebook. Click here if you'd like to enter! 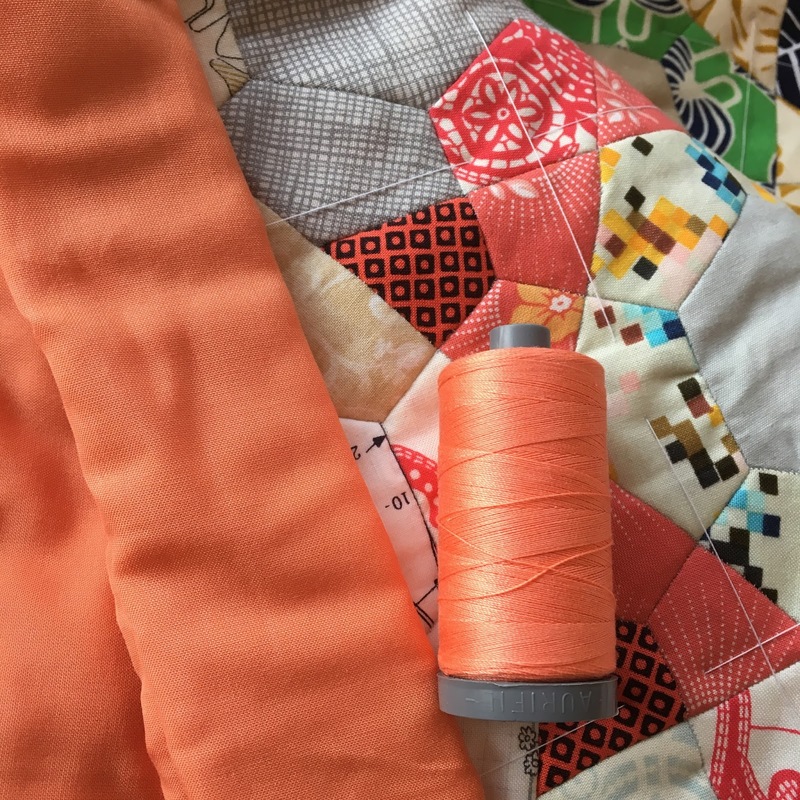 I am also a hand quilter. The first time you baste the roll way you will wonder what took you so long to try it. I tape my pieces to the bars when I start - its important to keep it straight so it rolls evenly. 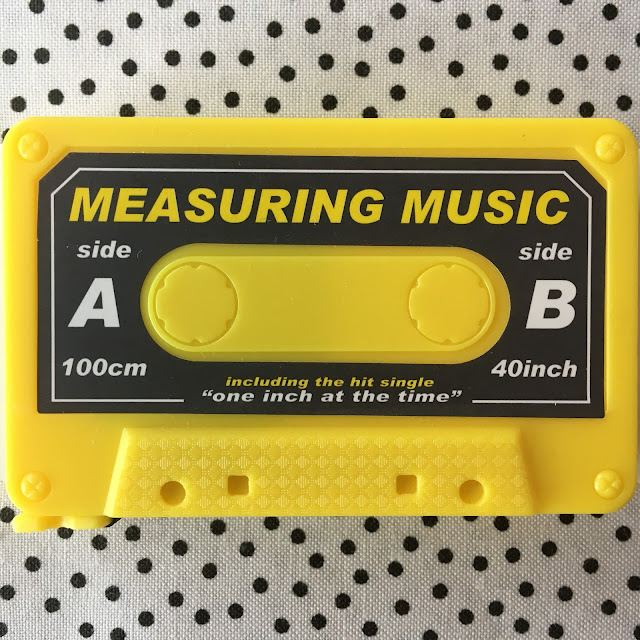 So simple and convenient. Thank you for the tip Linda! :) I will try that next time! Thread basting will make it much more stable Lucy! I'm speaking from experience... 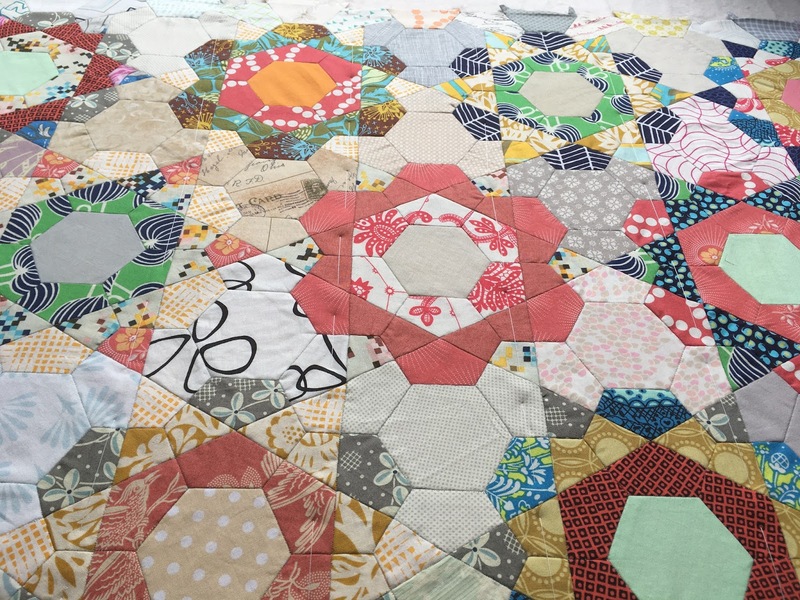 I have seen some pretty circle hand quilting on various quilts recently. Maybe that could be an option? I'm looking forward to seeing this develop! !